It was late Monday night when I saw Nyachan – it was less than 5 minutes long but I was left intrigued! I tweeted the link (you all know at Chaud we promise to always share great work as well as ratchetness) but still I wanted to know more about the person behind this masterpiece so I did what I do best – research (I watched all of her work that I could find online), and a few tweets and emails later – got an interview with the super talented woman herself Waiki Harnais. Please tell us who is Waiki? I’m a writer, scriptwriter and aspiring film producer. I’m also a wife and a mother of two, which people often forget when they see me embarking on all these creative ventures! People who love creative writing (myself included) usually fall in love with this art at a very young age – when did your affair began? I started writing my own stories at the age of 8 years old. I grew up in Belgium, where they really push literacy and languages from an early age. So around that time, I was already writing poetry, stories and making comic books. However it was during my teenage years that I started taking it more seriously. How do you balance it all in your day to day life? Would you still consider this a hobby or it is now a career? How do I balance it all? To be honest, I don’t! I still struggle to find the right balance between work, hobbies, family, social life etc. You constantly have to remind yourself that there are other things going on in your life and that you need a break sometimes. At the moment writing is both my career and a hobby. I write, translate and interpret on a freelance basis but my clients are usually based in other countries, which means I can work by correspondence. But with regards to scriptwriting and film producing, it is something I do as a hobby for now, but it takes up all of my time! Hopefully, it will become my full-time career one day and I’ll be able to make a living from it. 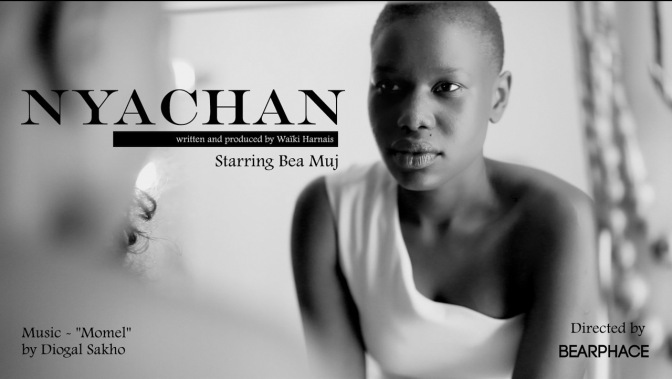 Nyachan – a short film that made me aware of you and your work was definitely capturing. You got the essence of the diaspora child from Sudan or other war torn countries, how did you manage such an authentic story line? The day I came across the beautiful actress and blogger Bea Muj on Twitter, I was determined to make her the lead actress in one of my projects. So I wrote this story about a young conflicted Sudanese girl who had been displaced after the civil war and was on a quest for self-love and acceptance. After meeting Bea several times to discuss the project, she told me that these stories of displacement were actually quite common in Sudan, following over 50 years of prolonged conflict and civil wars. Hundreds of thousands of people were moved to neighbouring countries or other parts of the world. The director and I then found a way to incorporate such a poignant and powerful part of Sudanese history into a 5 min film, and with the help of Bea, we were able to tell the story of this emotional journey through Nyachan’s letter to her mother. What inspires your stories and your work? I always go back and watch Chimamanda Adichie’s ‘Danger of a Single Story’ whenever I start feeling demotivated with this project and it helps remind me that my geographical presence does not take away the essence of where I’m from and it is up to me to showcase those other positive African stories. I feel that Africans in the diaspora or those of African heritage have the best of both worlds. You have Congolese roots do you agree with us? I was born and raised in Belgium; I have the Belgian nationality but I am originally from the Congo, so my roots will always be important to me. When you have spent so much time in Europe it’s really easy to detach yourself from your culture, even unknowingly. And that’s what happened to me as a teenager. It’s only recently that I reignited that flame and started to write more about issues that affect my people, African women, the diaspora.“The Danger of a Single Story” is one of my favourite talks because it reminds people that there is more to Africa than meets the eye, and definitely more than what the media tells you. Art is one of the most effective ways to tell stories, so it’s important that artists and creatives use this to show the world a different side to Africa. I love YouTube, because since starting this project it has given me access to great work that is not yet mainstream. We have featured ‘The Couple’ and ‘Brothers With No Game’ – both shows are web-based, with a growing global audience – will your work also be on Youtube as well as the big screen? When my work is published, it’s up to the directors I work with to choose the deployment avenue for the piece. Vimeo is usually the preferred route however I totally agree that Youtube is a great source of entertainment and probably the best site to get your work seen by the masses. The big screen… Well, that’s the ultimate dream for any scriptwriter or film producer! Myself and the people I work with are slowly making this happen, with the upcoming urban drama “London Heat” which is the pilot episode for a series written by Ola Masha and directed by Olan Collardy. It will be screened on December 9th ( visit londonheat.tumblr.com for more info) and we feel this will be the film that will allow us to slowly break into the mainstream. 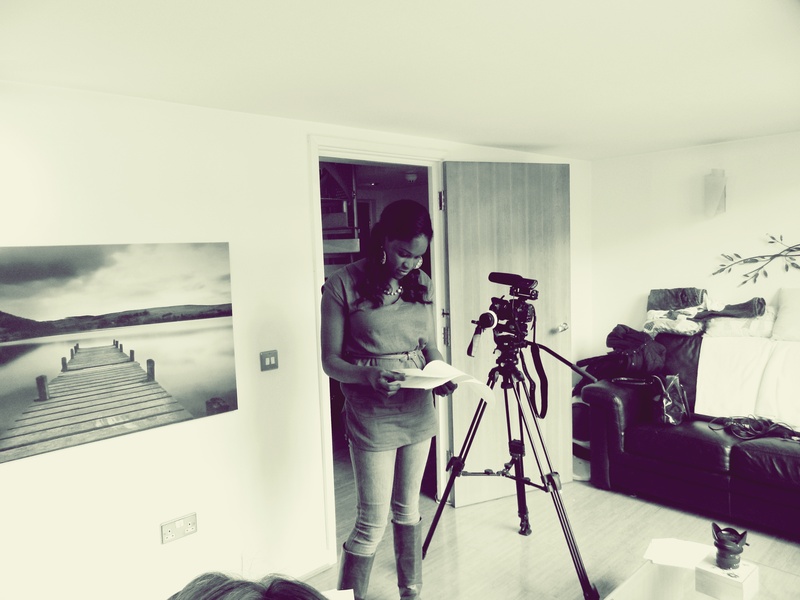 Film making industry is predominantly male when it comes to directing, producing and you mentioned that there is quite an illusion created about women in film and their ‘togetherness’ – what would you like to change? What are the challenges you’ve faced? I am fairly new in indie filmmaking so I haven’t faced that many challenges apart from a few comments here and there, as mentioned on one of my latest blog posts about women in film. One particular guy once said to me that women created these women-only alliances and award ceremonies because of our inability to compete with men. That comment was not only unfounded, it was also completely outrageous. I have been quite lucky however – so far I have only worked with guys who treat me great and don’t care what my gender is, as long as I am doing what I am supposed to do and producing good work. That said, I do look forward to the day I’ll be able to put together a team of talented women and create fantastic visuals. I suppose men just need to stop underestimating women. We are capable of great things and there are great female producers and directors around the world, who did not necessarily have to sleep their way to the top to become who they are today. 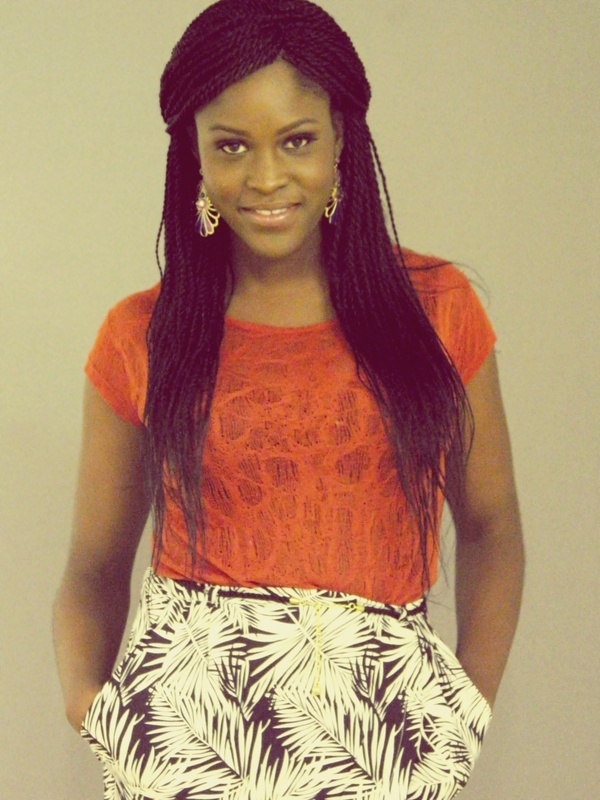 You also are an advocate for young girls education in Africa and have worked with Plan. Please tell us more. Just over a year ago I took part in a blogging competition with the charity Plan UK and The Guardian. We were asked to blog about the challenges faced by young girls in the third world, when it comes to getting education. My blog post was chosen as the winner, so I got to travel to Ethiopia for a few days. It was one of the most amazing experiences in my life. It really opened my eyes on the real issues that children face in that part of the continent. We met young girls who were forced to drop out of school due to early and forced marriage. We were taken to villages in the South of Ethiopia to meet families affected by the recent droughts… It was very moving. But this experience also opened my eyes on the other side of Ethiopia – the beautiful scenery, the nightlife, the warmth of the people, etc. and again, Chimamanda’s talk comes to mind. Ehiopia is the perfect example of “The danger of a single story”. There is so much more to that beautiful place and I cannot wait to go back. If you could pick one film director to mentor you – who would you pick and why? Guillermo Ariaga. I am so inspired by his work – He tends to break all the boring, fundamental rules of scriptwriting, in the most beautiful ways. Am I allowed to cite a second one? I’d say Guillaume Canet, who is a ridiculously talented French writer and director. I have a thing for International directors and world cinema, as you can see! Tell us your favourite movie and then your favourite Christmas themed movie? I have so many favourite films but at the moment, I have an obsession with The Burning Plain, which was written and directed by the legendary Guillermo Ariaga. My favourite Christmas-themed movie has to be Home Alone 1! As this is our Christmas issue – what does Waiki want for Christmas? Funding for my next few film projects. Honestly, that’s all I want… Maybe I should set up an Indiegogo campaign! Editor’s Note: Waiki we will fully support your Indiegogo Campaign should you set it up – so please do! Usually before the new year people tend to reflect and write their plans for 2013 – what were you lessons from 2012 and what are the plans for 2013? My lessons from 2012… Firstly: Don’t just write scripts. Get producing! I used to hide behind this fear of seeing my work in real life form. I wrote all these scripts but never actually produced them. As you can see this fear is now gone. Secondly: Knock on as many doors as possible, don’t be afraid, that’s what doors are there for. They’re also there to be kicked open! And if there are no doors, build them. Find collaborators, get this project started. My plans for 2013 are to write and produce more films of my own; but also to continue to assist Cardy Films (www.cardyfilms.com) and Ola&Olan on the production front. We have some exciting projects lined up for 2013.